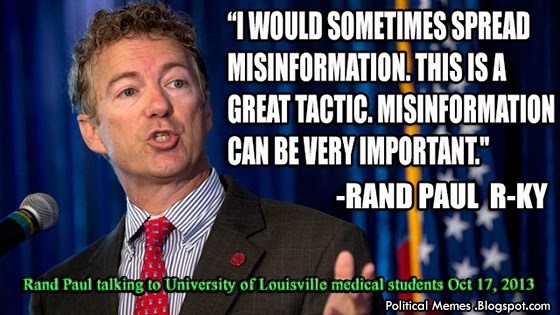 "I would sometimes spread misinformation. This is a great tactic. Misinformation can be very important." Kentucky Republican Senator Rand Paul and Tea Party poster boy.